So I recently had to re-acquire my hazmat endorsement for my CDL. I will be making a switch in my career path coming up and the new job requires me to have my hazardous materials endorsement. I know in my travels as a truck driver that the hazmat endorsement can be an intimidating proposition for some new and experienced drivers. My opinion has been and always will be, that having all the endorsements available, makes you a more marketable and versatile truck driver. This is especially true now that they have changed the laws regarding portable storage tanks. 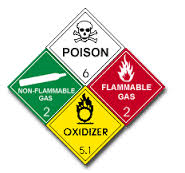 The new law requires you to have your hazmat and tankers endorsements to pull a load that has a portable storage tank that is loaded in a trailer. The tankers endorsement isn’t for just tanker trailers anymore. Typically, the companies that want you to have your hazmat endorsement are the LTL Carriers. 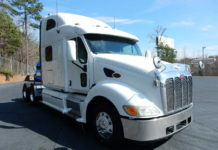 We have discussed LTL Carriers in previous posts and in our eBooks series. If you are trying to make a switch to a carrier that requires hazmat or are a new driver considering getting your hazmat endorsement then you should follow these recommendations. First, you should start by picking up your states CDL handbook at the driver’s licensing division. I know that most states also have this handbook available as a PDF on their website as well. Next, you should start studying. If you are a new driver you will be reading that whole book about 5 times at home or you will read it about 5 times in your CDL training class. If you are an experienced driver with no endorsements or just some of the endorsements I fully recommend getting all of your endorsements. So study the sections that are applicable to your need. If you are solely going after hazmat and you don’t have tankers. You will need to get your tankers endorsement because of the aforementioned new law. Now that you have studied the handbook regarding hazmat and possibly tankers. You will want to get into contact with your driver’s license division. And ask them what their testing schedule is and the cost. My cost was $3.00 a try for the test and $15.00 to add the endorsement. Another question you will want to ask them is where the fingerprinting office is in your state. You can also get the information for fingerprinting here on the TSA website. And it’s probably best that you pre-register yourself as well. YOU MUST BRING YOUR DRIVERS LICENSE AND YOUR BIRTH CERTIFICATE OR PASSPORT WITH YOU TO GET FINGERPRINTED. The reason I capitalized the last sentence is that I saw about 5 guys and gals get turned away for this reason in about an hour. And some of them had driven 3+ hours to get there because it’s the only one in the state! When you pre-register it will say that a DL and Social Security Card is good. DO NOT TRUST IT! Bring your DL and BIRTH CERTIFICATE AND/OR PASSPORT. The cost of the fingerprinting and background check is somewhere around $86.00. They said to expect the results back in 2 weeks. My recommendation is to go get the fingerprinting and background check going. Study your rear off for as long as it takes you. Then go in and pass the test before or after you have received your clearance from the TSA. Then you go show the folks at the drivers license division your TSA approval and your good. And once this process has taken it’s course you will come out of it with your hazmat endorsement and any other endorsements you choose to get at that time. Remember to take your time, study hard and eat properly. The test is not really that hard and I almost passed it the first time without studying. Don’t be discouraged if you do not pass the first time. You can retake it a bunch more times if you need to. You may want to ask a representative what the retake timeline is and how many times before they deem you unable to retake. I’m sure it’s enough of a cushion to get you through and put your mind at ease. 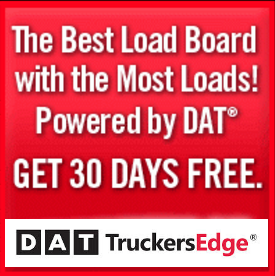 So good luck on your endorsements, happy trucking and be safe out there!